Happy Hump Day! 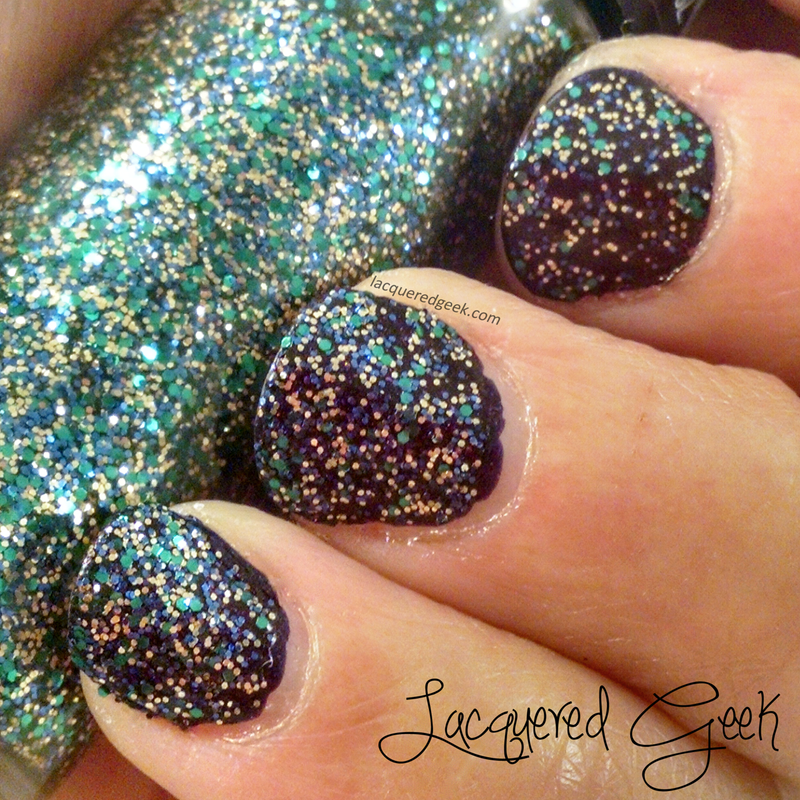 Since Mardi Gras is next week, I thought I would share another polish that is pretty much Mardi Gras in a bottle - Party Lights from Hard Candy. 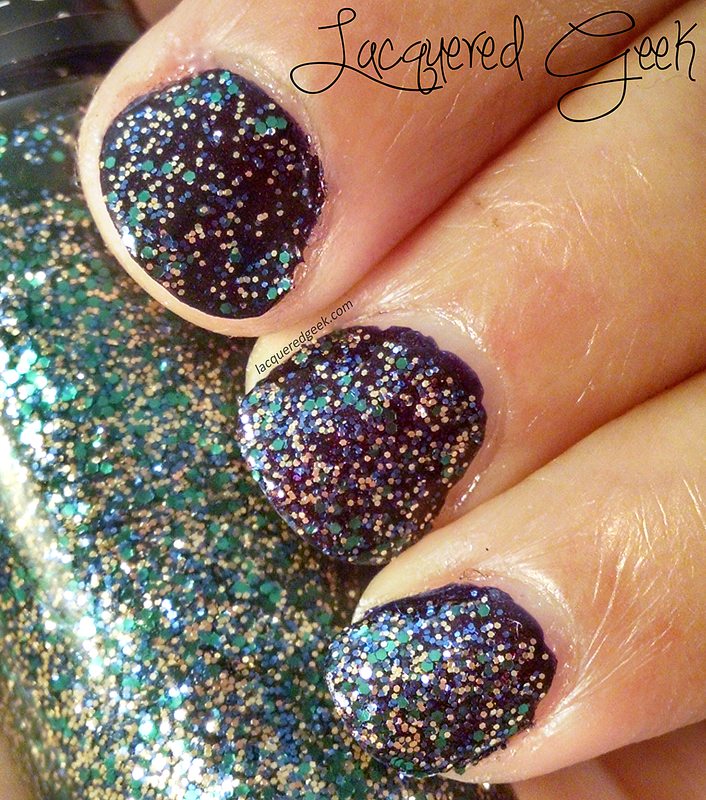 Party Lights is a mix of gold, green, and purple glitters in a clear base. I wore 1 coat over blackened purple undies, but I think I could have gotten complete coverage with 2 thick coats. My camera decided to go crazy with the lightening on this shot, but I wanted to include it so that you could see just how much glitter there is! 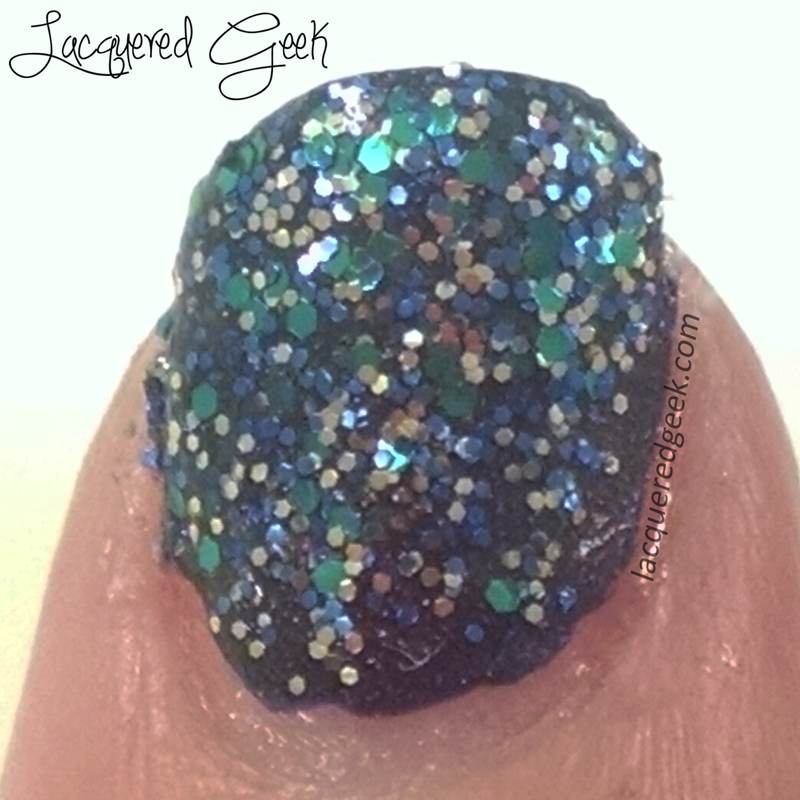 I was a little heavy handed on my pinkie because I was not expecting it to pack such a glitter punch! 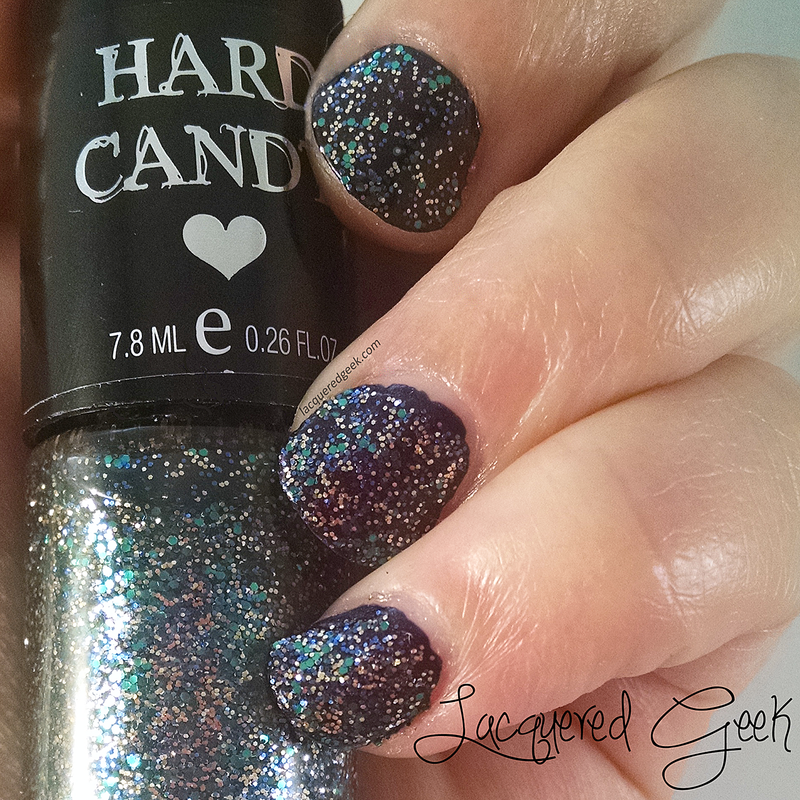 Hard Candy polishes can be found at Wal-Mart and online, and retail for $4.00 for a 7.8ml bottle (about 1/2 the size of an average polish bottle). 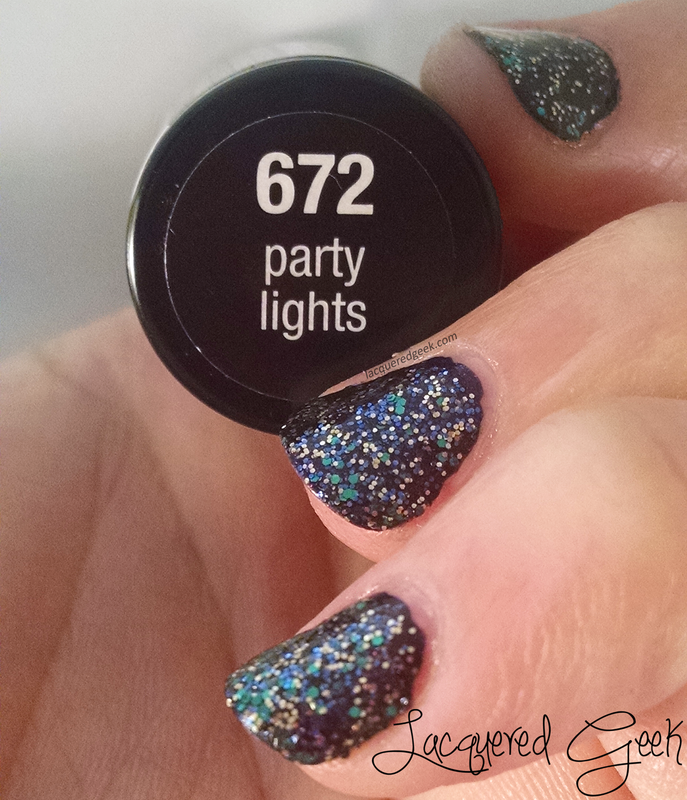 Party Lights was from last year's Hard Candy's Glitteratzi collection, and may not be easily available (I know my local Wal-Mart has it still, but others may not).